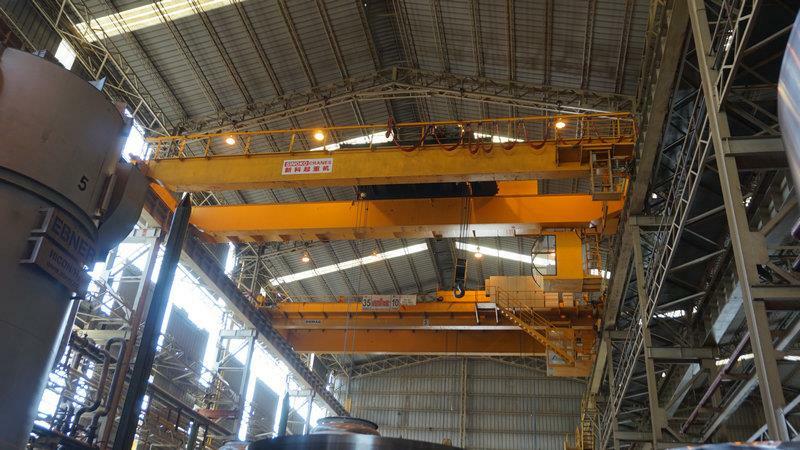 Sinokocranes have been focus on cold rolling mill crane solutions for years. With the requirements of high reliable, smooth speed, acurate positioning and heavy duty continious working conditions in the cold rolling mill workshop. Sinokocrane make design strictly according with FEM Standard. All design, manufacturing, raw material ,finsished products testing, on site installation service etc, all have get very good feedback from the end users. The CEO of the cold rolling plant owner said, all best quality could make best value for customer. Quality is the life for long time relationship. We believe this sucessfull comissioning of this 11 sets cranes could lead another big sample project in Pakistan Market.